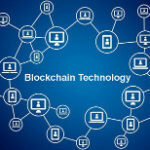 There isn’t a lot of information available on how exactly Bitcoin Diamond intends to fulfill its goals. The project has no whitepaper and the FAQ on the official website only gives a vague overview of Bitcoin Diamond, the number of coins that exist, and the problems it’s trying to solve. Although Bitcoin Diamond is a hard fork of the original Bitcoin blockchain, it can hardly be called a Bitcoin competitor. There are several main differences between BCD and BTC, which we’ll go over below. Total Supply – BCD caps at 210 million coins, which is ten times more than Bitcoin. Mining Algorithm – Bitcoin Diamond uses an Optimized X13 mining algorithm. Block Size – BCD’s block size is 8 MB, which is eight times larger than Bitcoin’s current block size. Encryption – The BCD team plans to add encryption and allow users to perform private transactions. Lightning Network – To improve the speed of transactions, the BCD team is working to implement the Lightning Network by Q3 2018. After its launch, the price of one BCD reached ~$92 USD, but its value slowly tumbled and completely flatlined by February 2018. CoinMarketCap began listing Bitcoin Diamond’s market cap in March 2018 at ~$416 million USD, but the value of BCD has remained at ~$2 USD and is showing no signs of picking up steam. Bitcoin Diamond can be acquired from a few exchanges including OKEx, Gate.io, Binance, Huobi, Kucoin and YoBit. BCD doesn’t have its own core wallet. The project’s website lists several suggested third-party wallets for storing BCD coins, including BitGo, Bitpie, Coldlar, Atoken, Kcash, QoinPro, Guarda Wallet, and Mobi. Bitcoin Diamond has been dogged with scam allegations right from its launch. 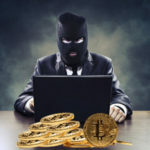 Several community members have accused it of being a scam orchestrated by EXX, a Chinese exchange that was launched in November 2017, just a few weeks before the Bitcoin Diamond fork. EXX was the first exchange to list BCD and it was initially the only place you could find any information about the project. The Bitcoin Diamond team is completely anonymous and no one can access their source code to confirm the coin is real. Even if these allegations weren’t true, the fact that the value of BCD crashed less than five months after its launch doesn’t bode well for this project. But despite all of these factors, Bitcoin Diamond somehow still has decent market liquidity. Interested investors should be wary.